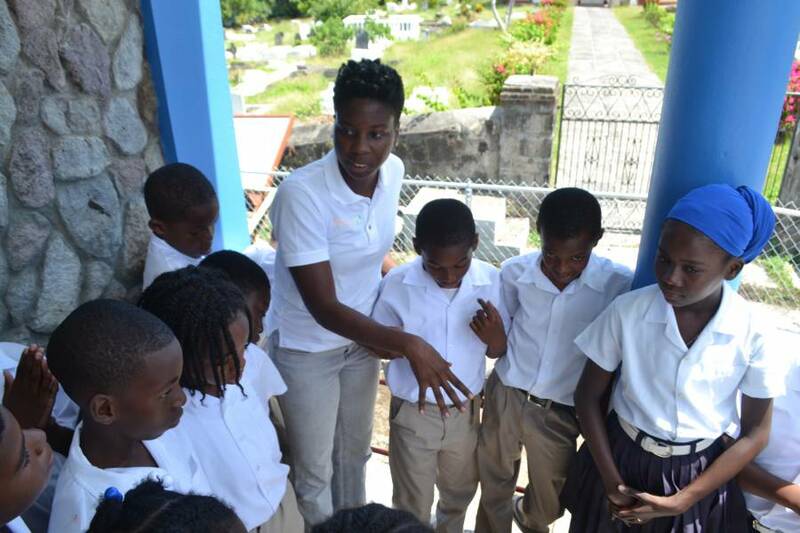 It is said that “children are the future” and when it comes to enhancing food security in Grenada, the Environment Division takes this very seriously. For this reason, the Pilot Programme on Integrated Climate Change Adaptation Strategies (ICCAS) is partnering with the 4H groups nationwide to deliver presentations to their 10 to 12 years-old members to mainstream the use of Climate Smart Agriculture (CSA) practices in the 4H gardens across the tri-island state. At least one group per district on the mainland of Grenada will benefit from the presentations. The first presentation was given on 15 March, to 30 students of the St Patrick’s Anglican School. Climate Smart Agriculture practices are often similar to traditional and indigenous techniques, which are now being used to build the resilience of the farming sector to withstand the challenges due to climate change. Some of the methods include agroforestry (planting amongst trees), mulching and composting, low-cost rainwater harvesting, efficient irrigation and drainage, container planting, intercropping which is also important for pest and disease control and using a resistant variety of crops; especially during unseasonal rain events and prolonged dryness. Under its Climate Smart Agriculture dissemination component, the ICCAS project has already trained 25 government officers (including two 4H leaders), to be trainers in CSA practices. These trainers have passed on the knowledge in workshops to a further 20 officers. In addition, CSA practices were mainstreamed into the Ministry of Agriculture, Lands, Forestry and Fisheries Corporate plan 2016 and the 2016 work plans of the various divisions, to encourage and support the institutionalisation of the practices into the standard advisory work of the agricultural technical officers. 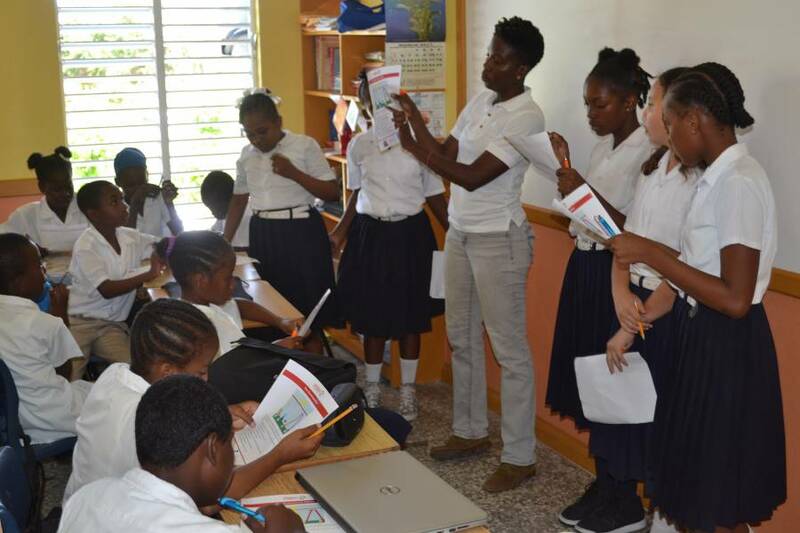 At the same time, CSA mainstreaming into the work plans of the 4H clubs was piloted in 3 schools: River Sallee Government School, St Andrew’s Methodist School and Beaulieu RC School. The current training programme will support the 2 already trained 4H leaders to teach their students about climate change, CSA practices and ‘what the clubs can do’ in their gardens to implement CSA practices. During the first presentation on 15 March at the St Patrick’s Anglican School, topics like the greenhouse effect, global warming, climate change, and CSA as an approach they can use to respond to the negative impacts of climate change on their garden, were covered. The children played 2 games to demonstrate the greenhouse effect from the “How to become a Greenz Climate Champion” booklet, which is an interactive climate change toolkit for primary schools in Grenada, Carriacou and Petite Martinique, developed by the ICCAS project in collaboration with the Environment Division, the Ministry of Education and GIZ. The presentation was followed by a visit to the club’s garden to identify CSA practices that they are already implementing, such as composting, use of manure, mulching, rainwater harvesting, irrigation, use of wooden barriers for the beds, and to discuss other practices that they can implement in the future, such as planting trees for shade, contour drains, and covering the crops. The next presentation will take place on 22 March, at the St Theresa RC School in Vincennes, St David.